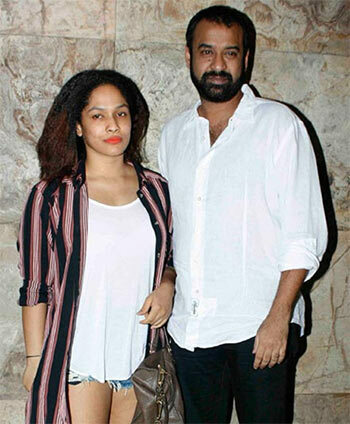 Producer Madhu Mantena got married to Masaba Gupta in a quiet wedding on June 3. Now, they want to party with their family and friends. An 'encore' wedding will be held on November 21 and 22. "We owe it to our friends," Madhu explains. "Masaba and I have loads of friends in the film industry. They couldn’t share our joy in June when we made our togetherness official." The June 3 wedding was just a formality, he says. "We wanted to live together but not as an unmarried couple. So we had a simple wedding ceremony. Now, we will invite everyone who matters to us for a two-day wedding at the ITC Maratha and Reliance Studios (in Mumbai). We will have a sangeet ceremony and then the wedding. Masaba and I love the wedding rituals and we want to go through them with our friends and relatives." A third wedding ceremony will be held in Hyderabad in December. "I am from Hyderabad," says Madhu. "My heart is in that city. There is no way I won’t let my friends and relatives in Hyderabad be a part of my togetherness with Masaba." Madhu says marrying Masaba in three installments is not enough. "I can marry her any number of times," he says. "She has brought stability into my life. The quality that I like best about Masaba is her straightforwardness. She is blunt and forthright. But unlike other blunt people, she isn’t rude or insensitive. She is very kind and compassionate. She understands me instinctively and accepts me with my weaknesses." What attracted Madhu to Masaba was her talent and simplicity. “She is a very creative person. I’ve a weakness for creative people. The minute I met Masaba, I knew she was the one I wanted to spend the rest of my life with. I am very proud of what she does. Masaba is a skilled artiste and very simple." Incidentally, Madhu’s best friend Shahid Kapoor got married a month after he did. "It’s a just a coincidence but a happy one," Madhu says.